See what happens behind the scenes at New Ravenna Mosaics. The video is here! This 3-4 minute video follows founder and creative director, Sara Baldwin and WBOC’s Steve Hammond walking through the New Ravenna Mosaics studio’s working floor in Exmore, Virginia. Listen to Sara Baldwin speak about the beginning of the studio, the 105 employees of the studio and more. Watch the mosaic artists cut the stone by hand, finish the edges and nudge the glass waterjet mosaics into place in a mosaic template. 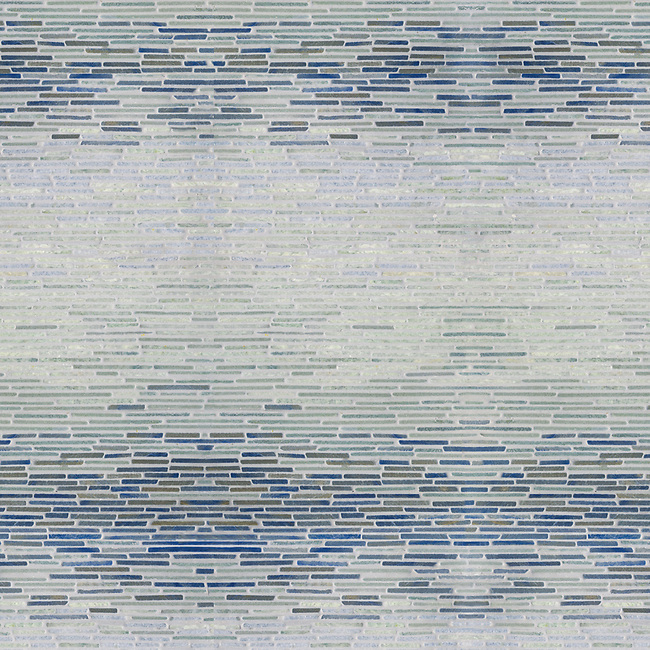 Mist Tatami marble mosaic grouted sample, above, and in progress during the video. Thank you Steve Hammond and WBOC. We had a wonderful day with you and the video is wonderful!